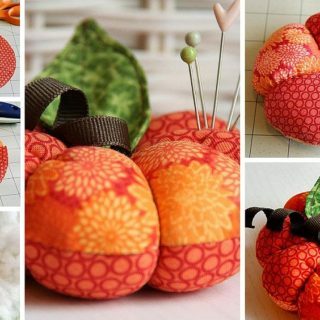 When it comes to sewing things around the house, we’re still learning. 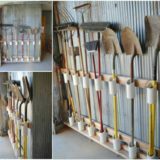 Thus far, we’ve stuck to small projects but they’ve gone very well, so we’re trying to branch out. 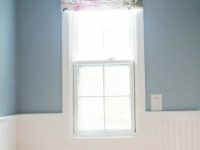 Now, we’re tackling things that are bigger but still simple so we’ve decided that we’d like to try making our own curtains! 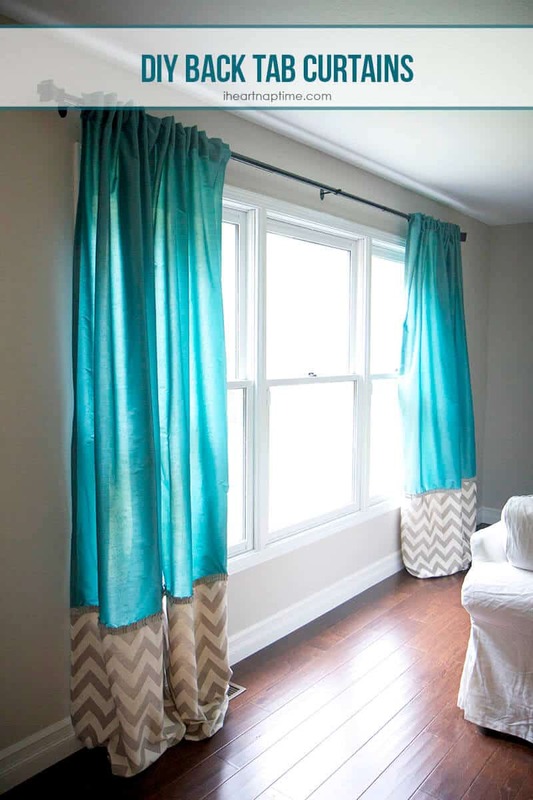 Just in case you’d like to make DIY curtains as well, here are 15 of the most creative designs, tutorials, and pattern ideas we’ve come across so far in our search for instructions and inspiration. To start, let’s make sure you have an overview of the basics! 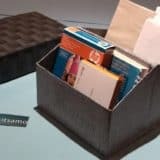 This fantastic resource from Fabric.com is a great introductory guide to how much fabric you’ll need, how to measure it once you’ve brought it home, and how to create neat edges all around and a properly sized, straight sitting loop at the top for your bar to go through. 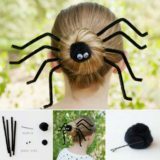 This one’s got beginners covered! 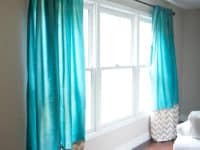 Are you confident in the idea of making yourself a set of simple, basic curtains for your main window but you also know that you’ll probably keep them open most of the time because you love letting natural light flood in? 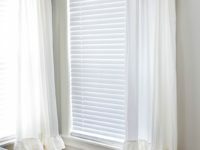 Then perhaps you’d enjoy taking a look at how I Heart Naptime made their curtains complete with a built-in tab to tie them back with very easily! 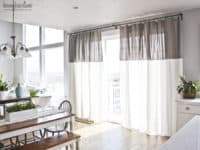 Have you actually already got a set of curtains hanging that you quite like the dimensions of but you just can’t help feeling like they could use a little more colour or personality, even though you want to keep things low maintenance? 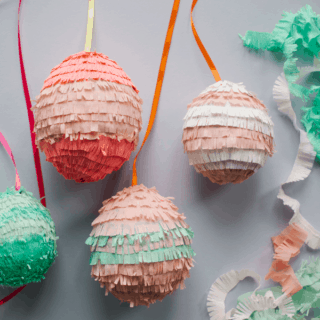 Then we’d definitely suggest taking a look at how Beckham and Belle lined the edges of theirs with adorable pom pom trim! 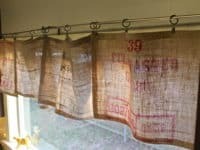 If you’re going to make your own curtains from scratch would you rather also make the project an opportunity for upcycling? We love to do that any time we can as well, so we can’t say we blame you! 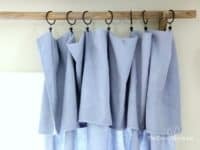 If keeping things looking casual and down home appeals to you, we’d absolutely encourage you to check out how Style Files made these darling curtains by patching tea towels together. 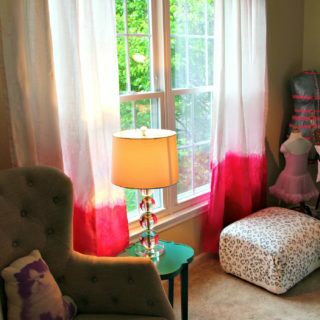 Just in case you loved the idea of jazzing up a set of plain curtains you already have, or in case you simply can’t find the kind of pattern you’re looking for in fabric stores, here’s a fantastic way to add your own details! 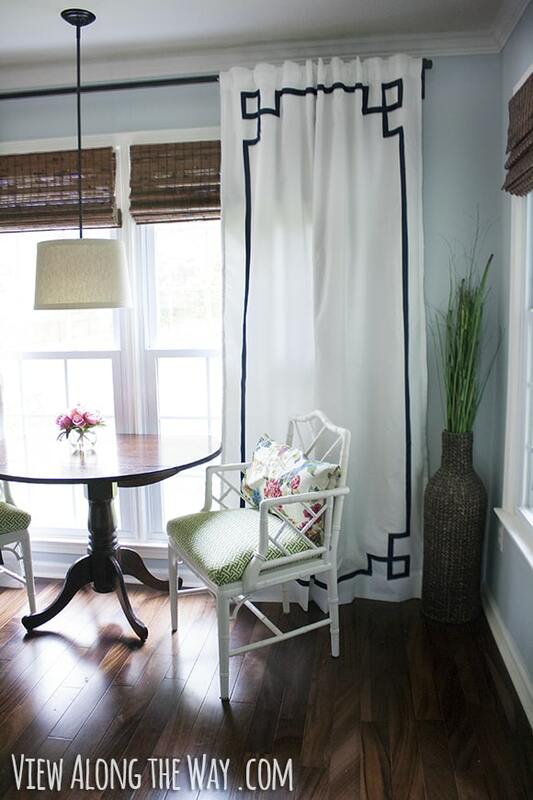 Balancing Home guides you step by step through the process of custom stencilling your curtain fabric in a way that is neat around the edges and even in your repeats. Are you the kind of detail oriented person who has actually always preferred text to pattern repeats? 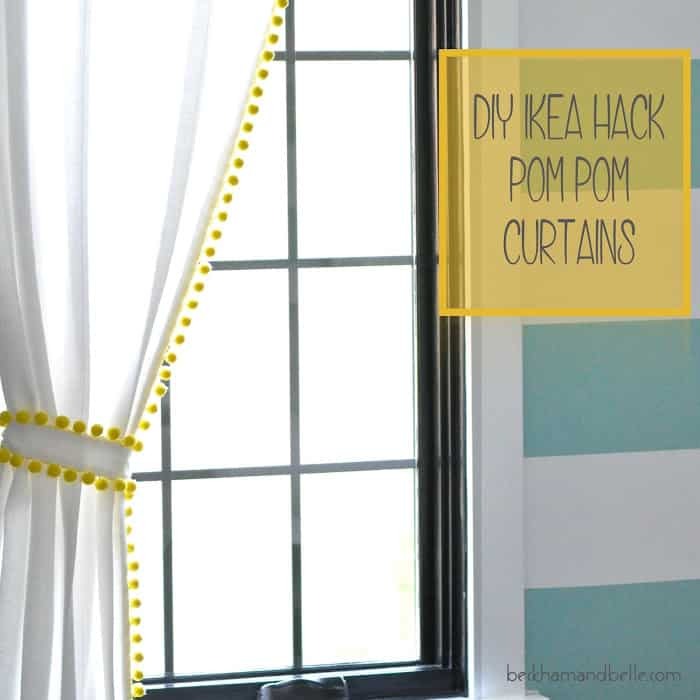 Well, believe it or not, there’s a way to incorporate that into your DIY curtain design! 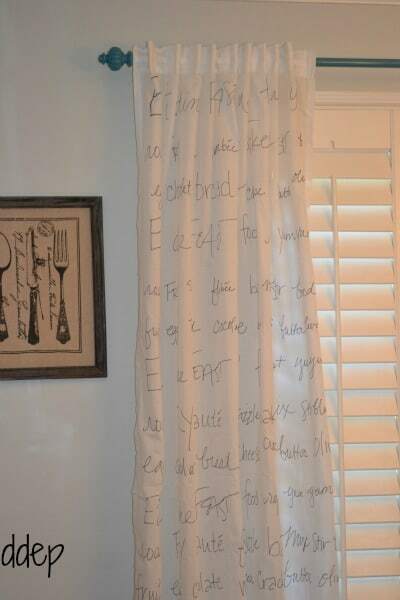 Take a better look at the tutorial on Dogs Don’t Eat Pizza to learn how they handmade these stunning and delicate looking Sharpie script curtains with text of their own choosing. 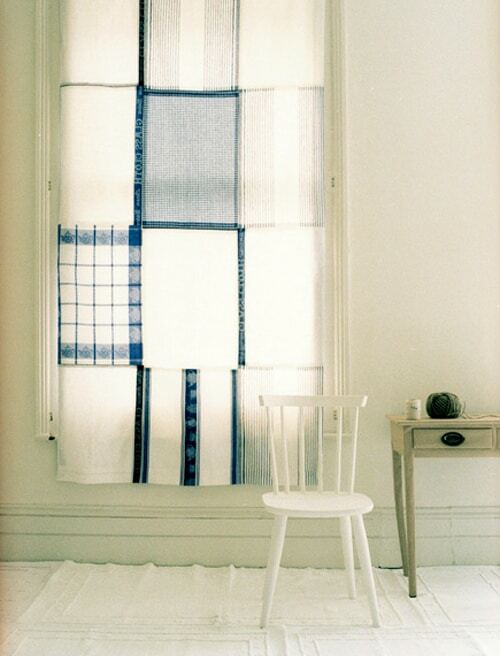 Were you actually totally enamoured with the idea of making your curtains out of upcycled materials from elsewhere in your house but you’re just not sure the patchwork tea towel idea was really the one for you? 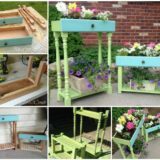 In that case, we’d definitely suggest taking a look at how Just A Girl made theirs from an old tablecloth instead! 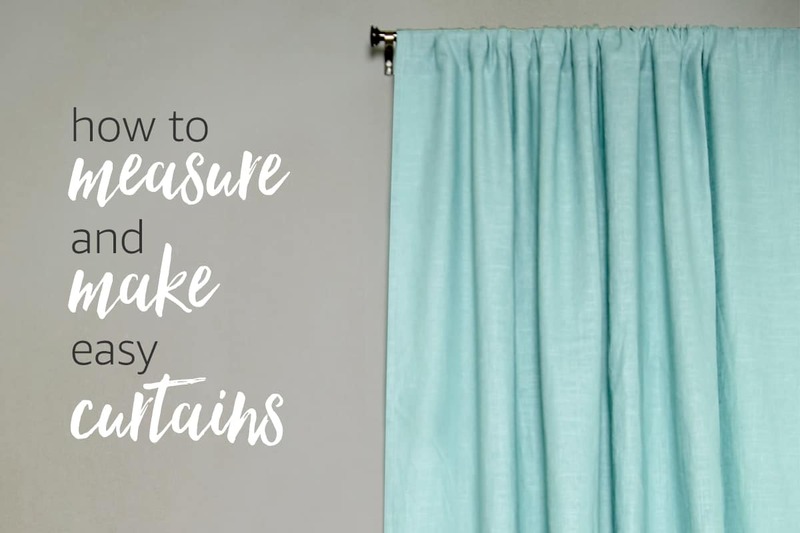 Stencilling and text art aren’t the only ways you can customize the actual fabric you’re working with before you get down to making your curtains! 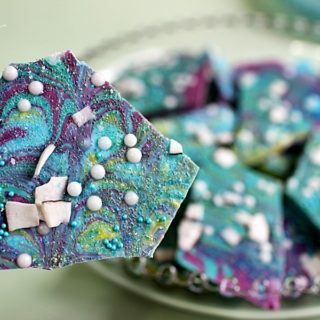 Fabric dyes are a whole lot of fun to work with as well, especially if you’re willing to get a little funky with the pattern and visual texture. 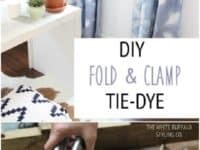 Check out how The White Buffalo Styling Co. created a fold and clamp tie dye effect to see exactly what we mean! 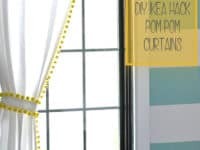 Alright, we know we said we’d only be talking about curtains in this post, but this very creative and stunning alternative was just so lovely that we couldn’t resist including it! 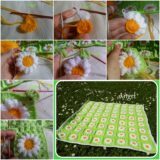 Take a better look at the tutorial on Madelene Edlund to find out how they used fabric stretching techniques to replace their screens with lovely floral lace! 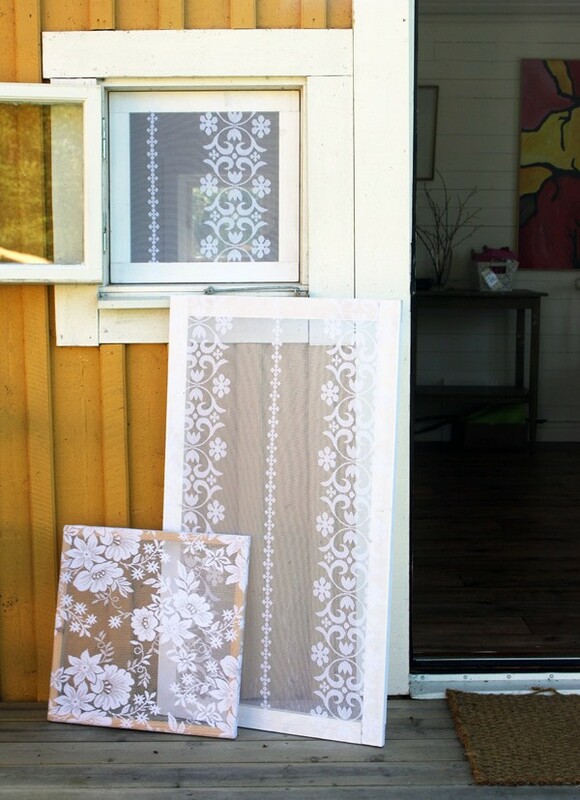 Because of the patterns in the lace, it actually does provide a bit of privacy like sheer curtains as well. Are you the kind of person who likes to walk the line right between minimalism and simple detail? 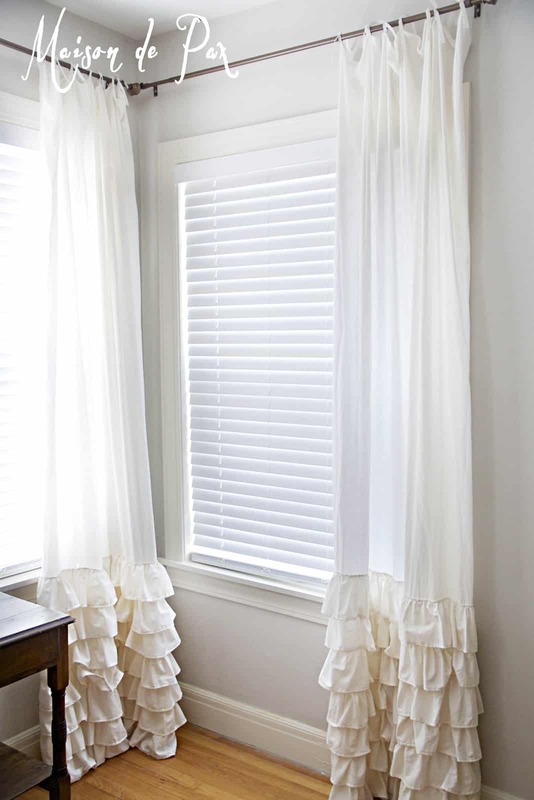 Well, if ruffles have ever appealed to you as visual texture, then we have a feeling you’ll get along very well indeed with these stunning layered ruffle curtains outlined step by step on Maison de Pax. We love how clean and crisp they look in off-white, but they’d be cute in other shades too! 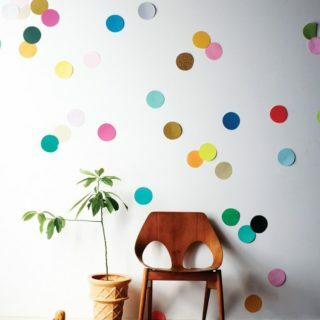 If you’re going to get into the game of stencilling patterns on otherwise clean fabric, would you rather keep the look a little more minimal and less all-over? Then perhaps only stencilling a border would be the best option for you! 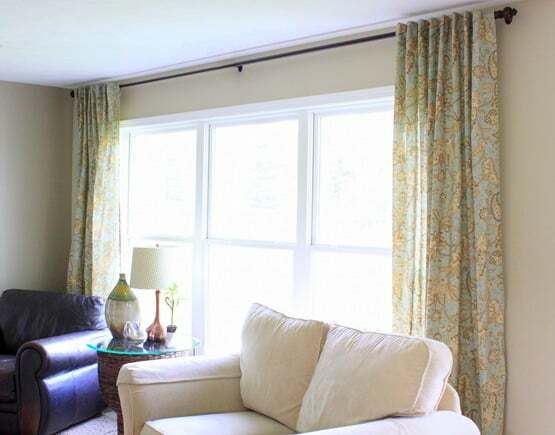 We adore the way View Along The Way has used a Greek inspired pattern with matching corners for impact. 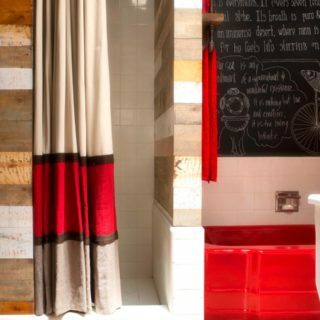 Is the space you have in mind actually in the bathroom where you’d rather not have long curtains hanging on the floor since the room gets moist when people shower? 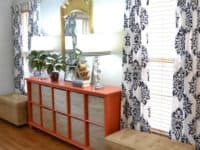 Then perhaps you’d get along a little better with something like this surprisingly simple Roman shade outlined step by step on DIY Decor Mom! 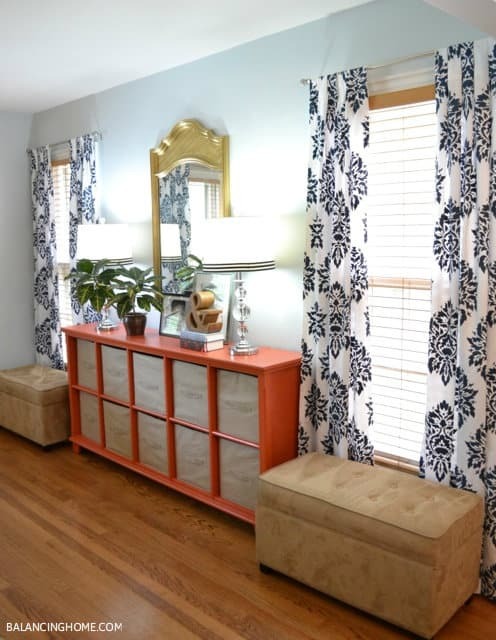 We love the way the florals they chose brighten up the room. Are you intent on making yourself a love set of curtains even though you don’t actually sew at all yet? 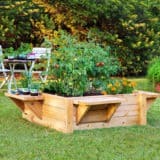 Well, believe it or not, there’s totally a way to do that! 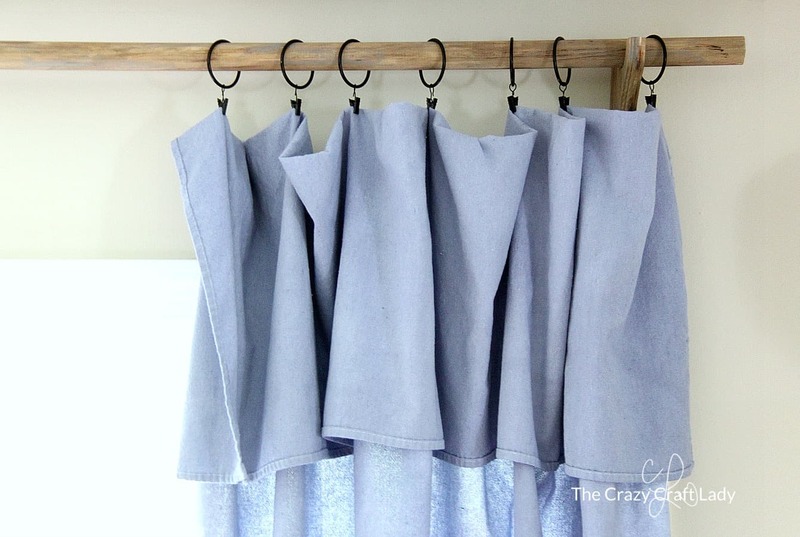 Besides just showing you how to measure and cut the fabric, this tutorial from The Crazy Craft Lady even shows you how to make a drop cloth at the top, all without making a single stitch. 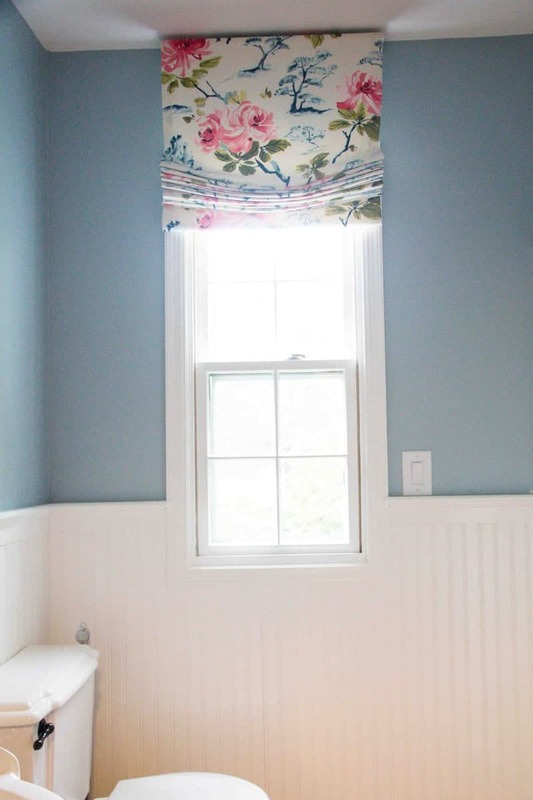 Were you actually a big fan of the drop cloth section idea but you’re someone who does sew and you’re looking for at least one more feature to go along with that top detail? 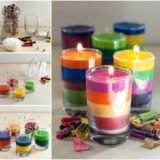 Then we think Honeybear Lane might have just what you need. 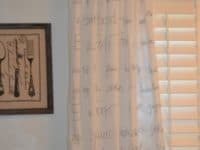 Take a look at their instructions to see how they created two-toned curtains more quickly than you might think. 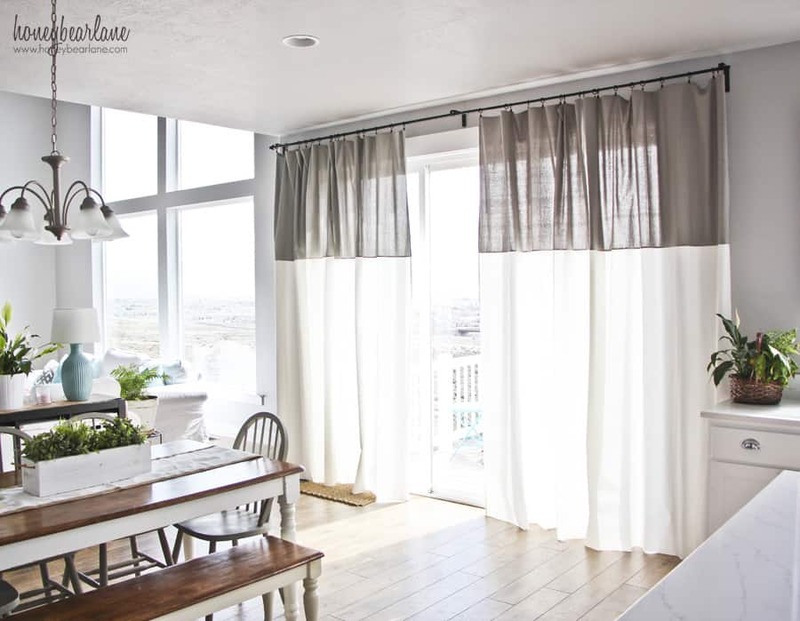 Have you ever seen adorable half-length kitchen curtains before and thought about how they remind you of your grandparents’ country home when you were a kid? 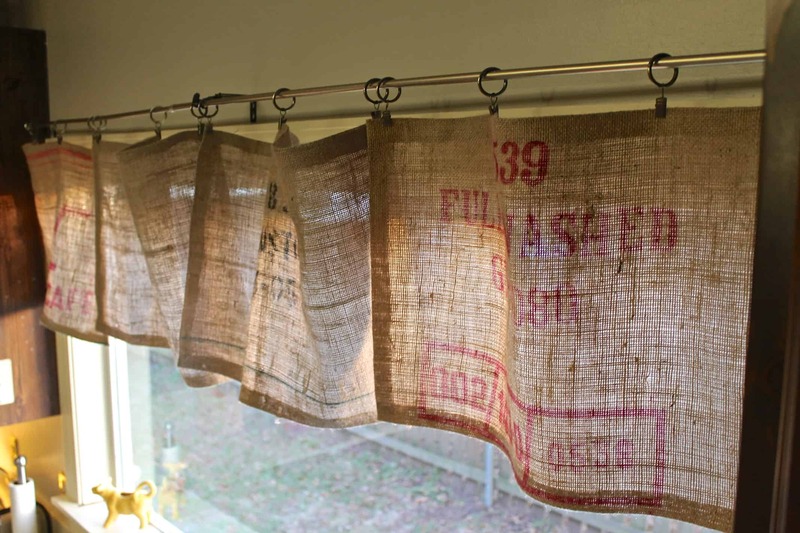 Well, Holliday is taking that idea to a whole new level by not only showing you how to make the very style of curtains we’re talking about, but also suggesting that you make them out of burlap for a bit of farmhouse chic! 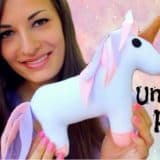 Unique and Refreshing Bath: Awesome DIY Shower Curtains! 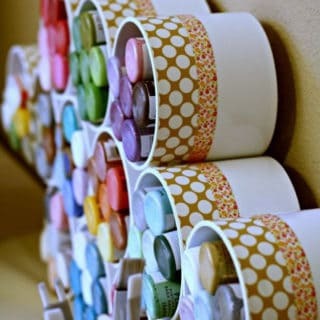 14 Creative Craft Storage Ideas to Make Your Life Easier! 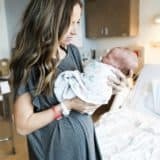 DIY Maternity Clothes: Stay in Style While Expecting!